Philippe Martin, Ph.D., from the University of Montreal, and colleagues compared the effectiveness of a consumer-targeted, pharmacist-led educational intervention on the discontinuation of inappropriate medication (sedative hypnotics, first-generation antihistamines, glyburide, or nonsteroidal anti-inflammatory drugs) among community-dwelling older adults versus usual care. The intervention group included 34 community pharmacies (248 patients), while 35 pharmacies were randomly assigned to the control group (241 patients). The researchers found that at six months, 43 percent of patients in the intervention group no longer filled prescriptions for inappropriate medication versus 12 percent in the control group (risk difference, 31 percent). By medication type, discontinuation occurred among 63 of 146 sedative hypnotic drug users in the intervention group and 14 of 155 in the control group; 19 of 62 glyburide users versus eight of 58; and 19 of 33 nonsteroidal anti-inflammatory drug users versus five of 23, respectively (P for interaction = 0.09). Antihistamine drug class analysis was not possible because of the small sample size (12 patients). No hospitalizations due to adverse events occurred, although 29 of 77 patients tapering sedative hypnotics reported withdrawal symptoms. 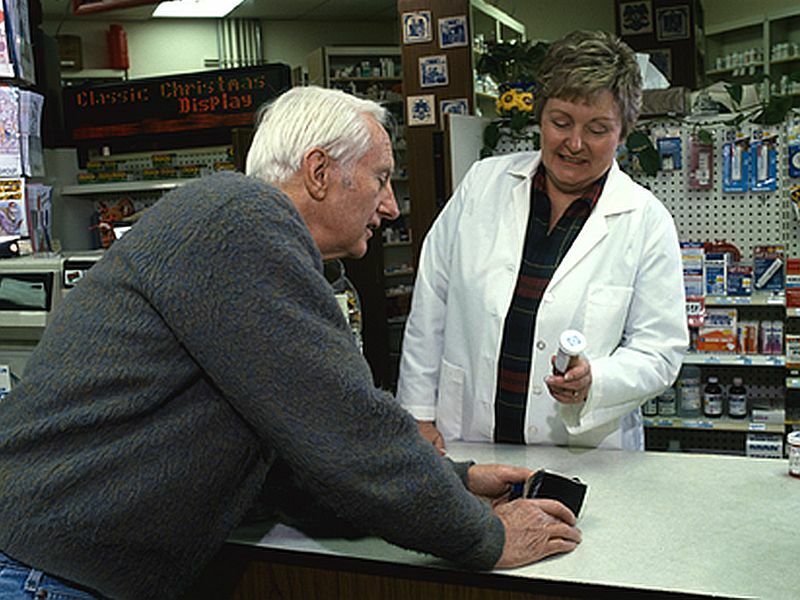 "Among older adults in Quebec, a pharmacist-led educational intervention compared with usual care resulted in greater discontinuation of prescriptions for inappropriate medication after six months," the authors write.